Beta-hydroxy-beta-methylbutyrate (HMB), a leucine metabolite, enhances the gain of skeletal muscle mass by increasing protein synthesis or attenuating protein degradation or both. The aims of this study were to investigate the effect of HMB on molecular factors controlling skeletal muscle protein synthesis and degradation, as well as muscle contractile function, in fed and fasted conditions. Wistar rats were supplied daily with HMB (320 mg/kg body weight diluted in NaCl-0.9%) or vehicle only (control) by gavage for 28 days. After this period, some of the animals were subjected to a 24-h fasting, while others remained in the fed condition. The EDL muscle was then removed, weighed and used to evaluate the genes and proteins involved in protein synthesis (AKT/4E-BP1/S6) and degradation (Fbxo32 and Trim63). A sub-set of rats were used to measure in vivo muscle contractile function. HMB supplementation increased AKT phosphorylation during fasting (three-fold). In the fed condition, no differences were detected in atrogenes expression between control and HMB supplemented group; however, HMB supplementation did attenuate the fasting-induced increase in their expression levels. Fasting animals receiving HMB showed improved sustained tetanic contraction times (one-fold) and an increased muscle to tibia length ratio (1.3-fold), without any cross-sectional area changes. 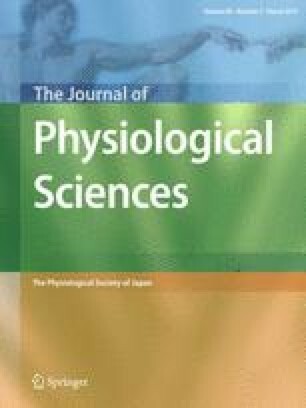 These results suggest that HMB supplementation under fasting conditions increases AKT phosphorylation and attenuates the increased of atrogenes expression, followed by a functional improvement and gain of skeletal muscle weight, suggesting that HMB protects skeletal muscle against the deleterious effects of fasting. The online version of this article (doi: 10.1007/s12576-016-0520-x) contains supplementary material, which is available to authorized users. F. Gerlinger-Romero and L. Guimarães-Ferreira, for a research fellowship from São Paulo Research Foundation, CAPES (Coordenação de Aperfeiçoamento de Pessoal de Nível Superior); C. Yogi Yonamine and R. Barrera Salgueiro, for a research fellowship from FAPESP (Fundação de Amparo Pesquisa do Estado de São Paulo); and M. T. Nunes, for a fellowship from CNPq (Conselho Nacional de Desenvolvimento Científico e Tecnológico). The authors would like to thank Dr. John A. Rathmacher from Metabolic Technologies, Inc. HMB-FA was formulated and supplied by Metabolic Technologies, Inc. The late, for Adhemar Pettri Filho.